This time of year I begin dreaming of apples. Granny Smith, Pink Lady and Gala are among my favorites. On fall weekends, my family is thrilled to wake to the scent of apple waffles or cider muffins. Homemade applesauce usually finds its way into our refrigerator. And afternoons might find me experimenting with apple pie recipes or other baked apple treats. An abundance of apples, whether from an apple-picking venture on a local farm or from a recent trip to Costco, calls for extreme fits of baking. 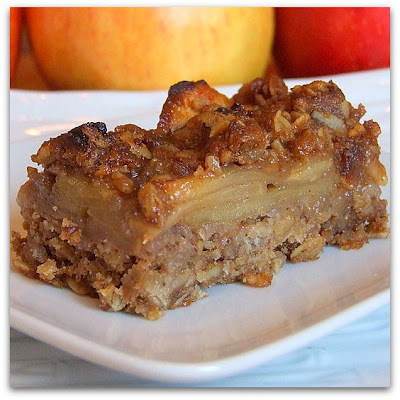 My first apple treat of this fall season: Caramel Apple Bars. 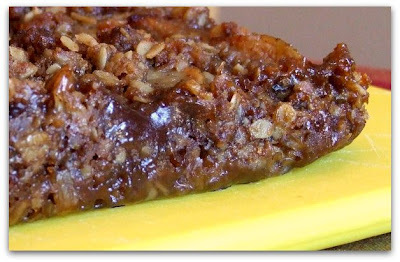 An oat-pecan crust is topped with layers of sliced apples. A simple homemade caramel is drizzled on top and then baked into a bubbling mass of apple heaven. Caramel lovers will have a tough time not diving in face-first. The caramel sinks in and around the apples and turns a simple apple bar into an amazing dessert. 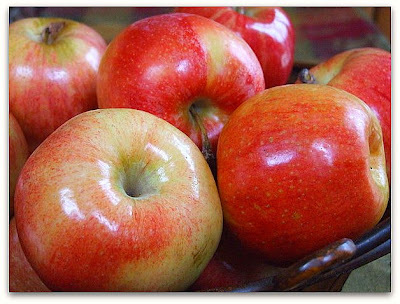 Slices are reminiscent of apple pie. Really good apple pie. Tonight I plan to be lost in thoughts of savory apple dishes... apples paired with chicken or pork, and favorite autumn apple salads... that is, while I'm eating a slice of this for dessert. This recipe can be found HERE.